Wondering how secure your Android smartphone is? Well, a 9-year-old cybersecurity expert has demonstrated how hackers could steal contacts, call logs and messages within just 15 minutes. 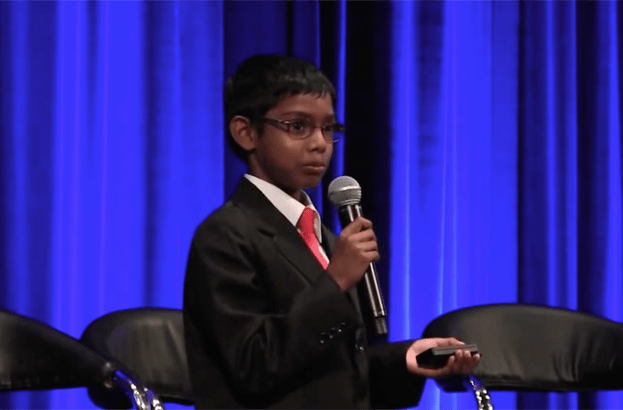 Speaking at the Security B-sides Conference last week, Harmony School of Science third-grader Reuben Paul took to the stage to promote safer smartphone security. His Keynote speech stressed the importance of being extra careful when downloading apps, showing how even seemingly safe software can be used by cybercriminals to access sensitive data and snoop on your location. According to Fox, the 9-year-old Paul completed the hack within a quarter of an hour, claiming that it can happen anywhere, to anyone and at any time. “If a child can do it then a regular hacker can do it… so I just want everybody to be aware [and to] be more careful when you download games and stuff like that,” he said. Paul is a rising star of the computer security industry, speaking at a number of other conferences as well as acting as CEO of Prudent Games; a company which attempts to teach people about threats through educational apps. The company’s games include Cracker Proof, which teaches good password practice, and Crack Me If you Can, which teaches all about brute force attacks. Paul’s speech at the Security B-sides Conference again highlighted how important it to be cautious when downloading apps and games. For more advice on avoiding ‘bad’ apps, remember the advice from our video below.